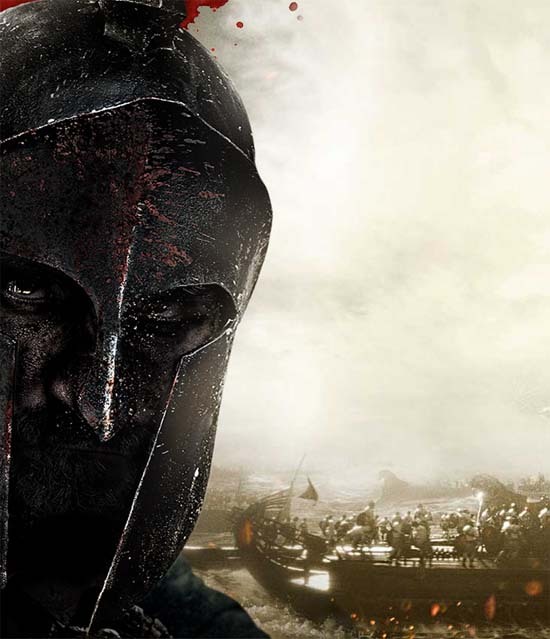 Warner Bros Debut First Trailer for '300: RISE OF AN EMPIRE'! Warner Bros has revealed the first trailer for 300: Rise of an Empire. Based on Frank Miller's latest graphic novel Xerxes & told in the breathtaking visual style of the original blockbuster 300, this new chapter of the epic saga takes the battle to the sea as Greek general Themistokles [Sullivan Stapleton] attempts to unite all of Greece by leading the charge that will change the course of the war. 300: Rise of an Empire pits Themistokles against the massive invading Persian forces led by mortal-turned-god Xerxes [Rodrigo Santoro] Artemesia [Eva Green], vengeful commander of the Persian navy. 300: Rise of an Empire opens in 3D, 2D & IMAX theaters on March 7, 2014. Hit the jump for the details. I'm reading: Warner Bros Debut First Trailer for '300: RISE OF AN EMPIRE'!Tweet this!